This major new textbook has been specifically written for students in Development Studies. 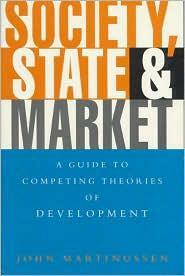 It provides a comprehensive and multi-disciplinary picture of development research over the past generation. Organised around four major themes, it is the only textbook in this field to present critically the full range of theoretical approaches and current debates.